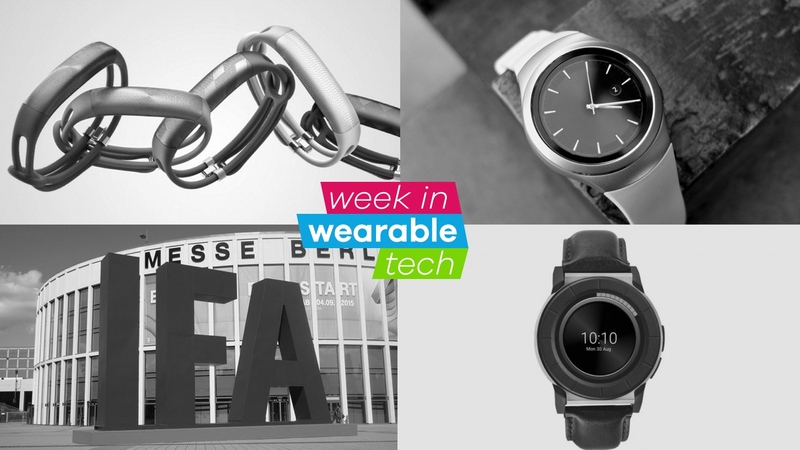 Welcome to another instalment of the week in wearable tech. It's been a quiet month in the world of wearables, but things are starting to pick up. Thursday 1 September sees IFA 2016 – one of the biggest tech trade shows of the year –open its doors. It's the place which tech companies choose to launch their Christmas products, and there's going to be a healthy dose of wearables at the show. So read on to find out what's dominated the headlines in a busy week in the world of wearables. Indian watch giant Titan has released a new version of its Juxt smartwatch collaboration with HP. The Titan Juxt Pro uses a 1GHz dual-core Intel processor and boasts a 360x360 screen, using its own Titan OS. It's a big departure from Titan's previous smart wearable, the Titan Juxt, which was one of its analogue pieces connected up with activity tracking and notifications. Check out our round up of the best analogue smartwatches as well as our in-depth look at the best fitness trackers. India is also one of the stops on our world tour of wearables. This week we reported on more whispers that Jawbone was actively trying to sell itself to get out of financial difficulty. However, the company has again moved to deny such rumours, despite overwhelming press to the contrary. It seems that Jawbone has hired a third party firm to shut down the rumours of its supposed demise, with a person close to the company reaching to Wareable to insist that "Jawbone is not actively seeking to sell the company." No further detail was offered. If Jawbone was to hit financial difficulty, which it denies, then a chapter 7 bankruptcy could mean it would have to deal with the thousands of devices unsold in stores. So it would be in the company's interest to water down speculation. But clearly everything is fine. Check out this week's #Trending where we look at three examples of wearable companies who struggled to go it alone. It's been a bit of a quiet period in the world of wearables, but the smart money is on them returning with a bang at IFA. And perhaps the biggest noise will be from Samsung, which looks to be readying an update to the Gear S2. An invite for its press event depicts watch hands, which show the time of the event. It feels as if the Gear S2 has only been with us a short time, but it's great to see that Samsung isn't resting on its laurels. We're assuming it's going to be the Gear S3, but it could be a new skew of watches altogether. The only way to know for sure is to check back here at Wareable on 1 September at 11AM CET. Check out everything we know about the Samsung Gear S3 and if you already own a Gear S2, check out the best apps you can download for Sammy's smartwatch. Just after Samsung outs its new smartwatch, Apple should be hot on its heels with an update to the Apple Watch. The rumour mill has reached fever pitch, so we've taken a step back to check the validity and likelihood of each suggested new addition from industry experts. From new Micro LED screen tech to the inclusion of GPS, see what the experts are expecting the new Apple Watch 2 to look like. If you're a happy owner of a current-gen Apple Watch then we have plenty for you to read and learn about. Check out our Apple Watch tips and tricks as well as our round up of the best Apple Watch apps.